Steepness, gravitational stress, poor drainage and an absence of rooted vegetation can leave slopes vulnerable to weakness and erosion, leading to ground instability and the possibility of slippage. 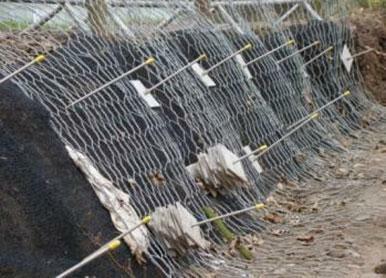 Anchor Systems (International) Ltd offer cost-effective, practical, designed and engineered solutions for both slope stabilisation and erosion control. 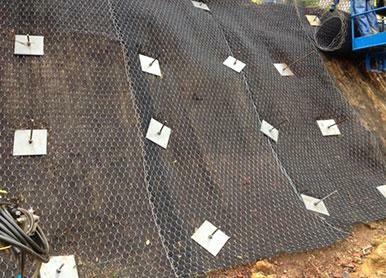 Our mechanical anchoring systems are designed for any ground, earth and soil stabilisation associated with geotechnical engineering and securing geotextile and geosynthetic materials into position until vegetation can take effect. 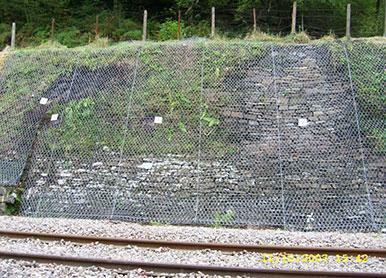 Previous projects for geotechnical applications and erosion control have used our Vulcan Earth Anchors® systems for retaining a wide variety of geotextiles and geosynthetics including meshing, geo-grids, coir matting as well as geo-membranes with our wide range of sizes and accessories. Bespoke solutions and systems are also available if required. Our geotechnical anchoring systems have been developed to integrate with the majority of geotextile solutions and geofabrics available from all the major manufactures. 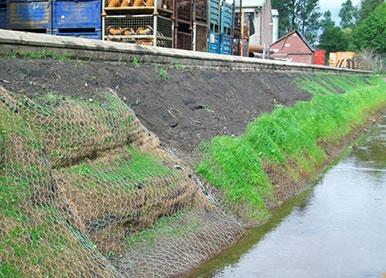 These systems can be installed to supplement, combine with or replace existing installations as well being used to stabilise virgin embankments as the only system used. Fast and simple to install, with the ability to provide maximum load capacity immediately whilst allowing the positioning of the geotechnical materials and anchor installation to be carried out simultaneously, achieving instant security, thus, saving time and money on project labour and delivery. We have recently developed a high load ground anchoring screw which will be launched this year. Designed to hold most types of geotechnical materials to most types of ground with a rapid installation time without the need to purchase extra tools and accessories. This product is designed as a replacement to traditional U pins and pegs that can be awkward to install and often pull out of position. 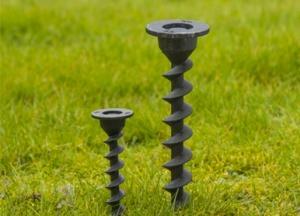 Our Geo-Screw will be available in a range of sizes and be manufactured from both recycled and biodegradable materials.